To celebrate the last 50 years of the European Car of the Year Award, the Warren Classic Car Show is hoping to assemble an example of every car that has ever won the European Car of the Year Award since its inception in 1964. This would be the first time all the cars have been shown together in the UK. 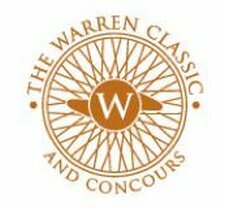 The Warren Classic firmly established itself in 2013 as one of the key events on Essex’s summer social calendar, attracting thousands of visitors to a celebration of classic and supercars at The Warren Golf & Country Club, near Maldon. The event will return in 2014 on Saturday 10 May to the beautiful and historic 350-acre estate, offering fantastic all-day entertainment for the whole family. One of the highlights of this year’s event will be the Warren Classic’s celebration to mark 50 Years of the European Car of the Year Award; widely recognised as the most prestigious award in the European motoring industry. Past winners have included iconic cars such as the Ford Focus, Fiat 500, Lancia Delta and Rover SD1.